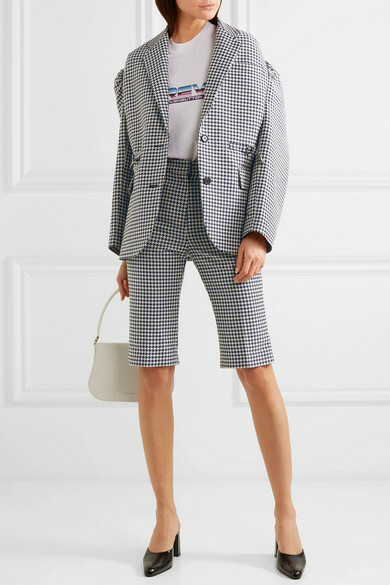 One of the coolest labels on the Seoul streetwear scene, Pushbutton's clothing has been worn by everyone from Rihanna to Hilary Tsui, and we can imagine either one of them pairing these shorts with the matching blazer. 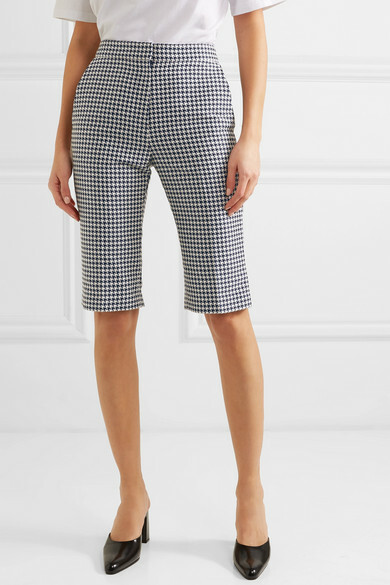 Woven with a generous amount of soft cotton, they sit flatteringly high at the waist with a corset-like back. 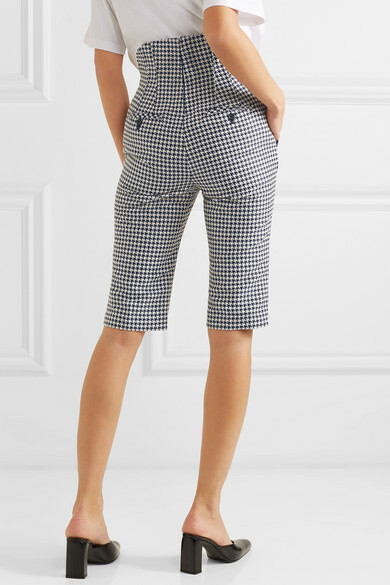 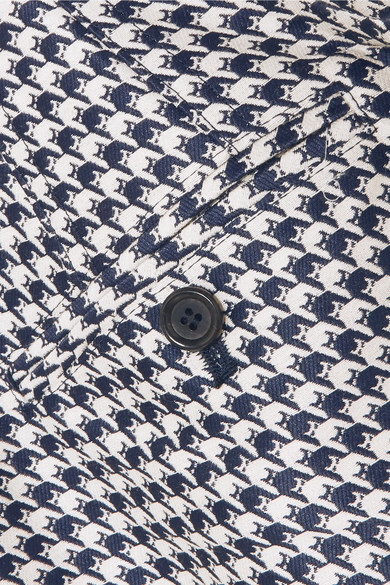 Look closely at the houndstooth checks and you'll notice they're actually made up of tiny monsters.